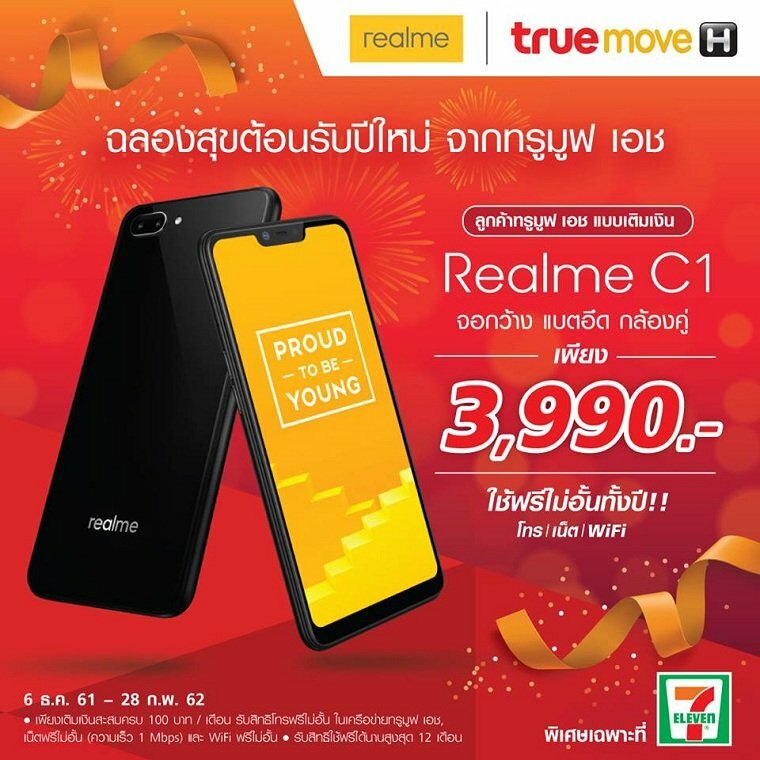 The Realme C1 comes with a SIM card which offers unlimited talk time on the TrueMove H network and unlimited internet for 12 months with a top-up of at least Bt100 per month. It uses the TrueMove H 4G network. Realme C1, a newcomer smartphone brand, comes fully equipped with premium specifications including a 6.2-inch full screen, a 4,230 mAh battery, with a 13-megapixel primary camera and a 2-megapixel secondary camera on the rear and a 5-megapixel front shooter. It is powered by a 1.8 GHz Qualcomm Snapdragon 450 chipset along with an Adreno 506 GPU and supports dual SIM cards on 4G networks. Phone is locked to True. Decent phone, decent price, but not much use to anyone, True phone coverage isn't all that good, and you can't use the second SIM slot. I believe it's a rebadged Oppo A3s (also sold locked to True). Yes, specs look like Oppo A3s. My wife and I just bought one each, we're pretty happy with it, decent cameras, video recording in 1080p, very good battery. Oppo A3s is now sold for 2'770 Baht at Seven Eleven. Throttled at 1mps, which is not really enough for streaming most of the time, so in effect that's a year's unlimited True calls and net usage for 1,220B over and above an Oppo A3s + 100B at least per month, or around 200B pm minimum. Not really that good a deal, I'd rather buy a cheap Chinese android on AliExpress and choose my package myself. Well I never - True and 7-11 - both part of the CP group! Oppo A3s is now sold for 2'770 Baht at Seven Eleven. Yes, I just saw that, 4k including the years True SIM. Good price for a 6" 'notch phone' including calls and internet.